I know, you are probably reading this right now thinking what? her first four leaf clover, how old is she 5? Now I get enjoyment out of the little things in life and this is definitely one of the little things. 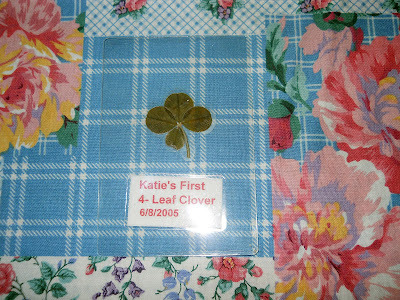 For one thing, how many people have really found a four leave clover and how many people actually took the time to save it? Call me weird, but I'm happy that my aunt took the time to save it for me. That's probably the real reason why I love this little clover so much, because it takes me back to a memory of a warm summer, spending time with my aunt and going swimming. 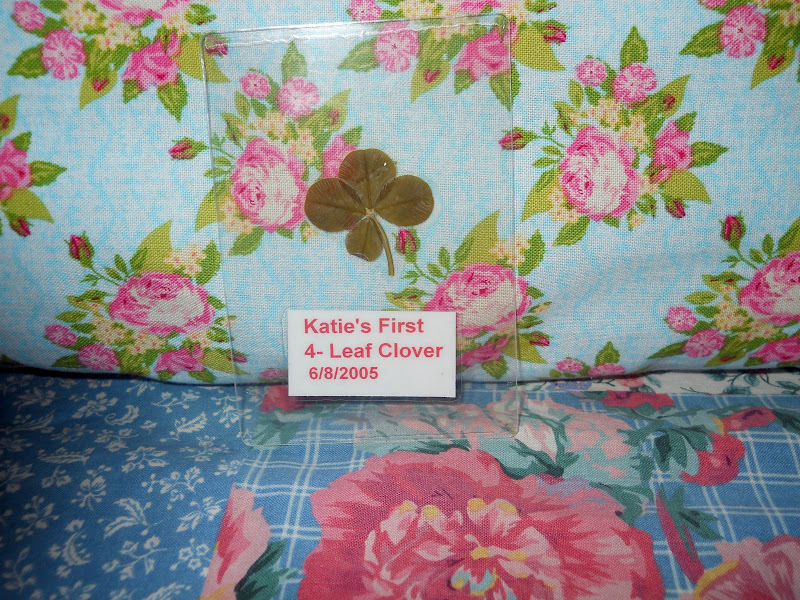 Do you remember finding your first four leaf clover? I think that's actually a really neat idea! OMG, I can't believe someone else has their first 4 leaf clover. That just made my day:) Thanks for stopping by and thanks for becoming a follower through Bloglovin. I have one, preserved on a pin my great grandmother gave me.